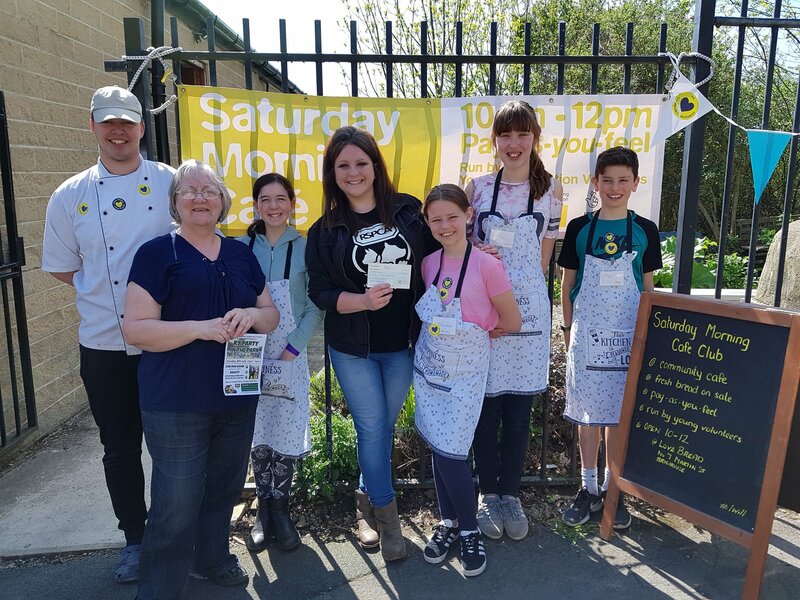 Each Saturday, a team of young volunteers take over at LoveBread to run The Saturday Cafe. They bake cakes, make pancakes, grind coffee and more. The café runs on a pay-as-you-feel basis and 100% of donations go to local charities. Funded by CFFC and the #Iwill project. #iwill work with young people across the UK as young as 10, to do inspirational things in their communities to help others. Over 700 organisations, including LoveBread have pledged #iwill, to encourage young people across the UK to take part in social action. Working with business, education and voluntary sector partners, the #iwill campaign aims to ensure that all young people can access social action opportunities, whatever their background, as involvement in social action strengthens communities and enhances the skills of young participants. This entry was posted in Brighouse, Get Involved / Have Your Say, Rastrick and tagged #Iwill, Love Bread CIC.